Just got the Windows Phone 7.1 Developer Beta SDK installed today and it's great to see lot more APIs than the earlier version. In fact, I got the Developer SDK installed on 3 different machines. A new Virtual Machine with Windows 7 Professional without Visual Studio 2010 pre-installed. Machine with Visual Studio 2010 Professional SP1 installed. 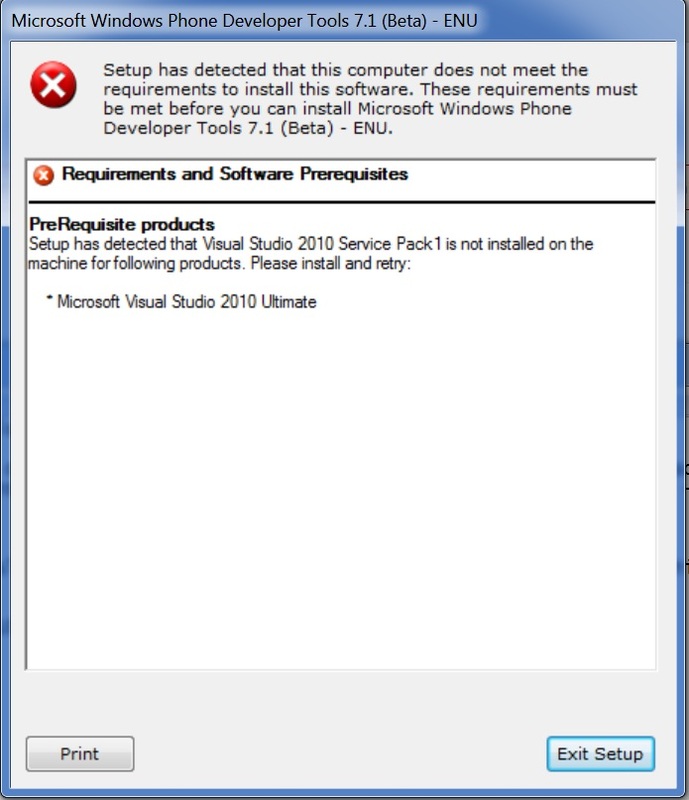 The installation on the Machine 1 went on smooth and so did the installation on machine 2 with Visual Studio 2010 Professional SP1 installed, but was struck up with the following 'prerequisite missing' message on Machine 3 .